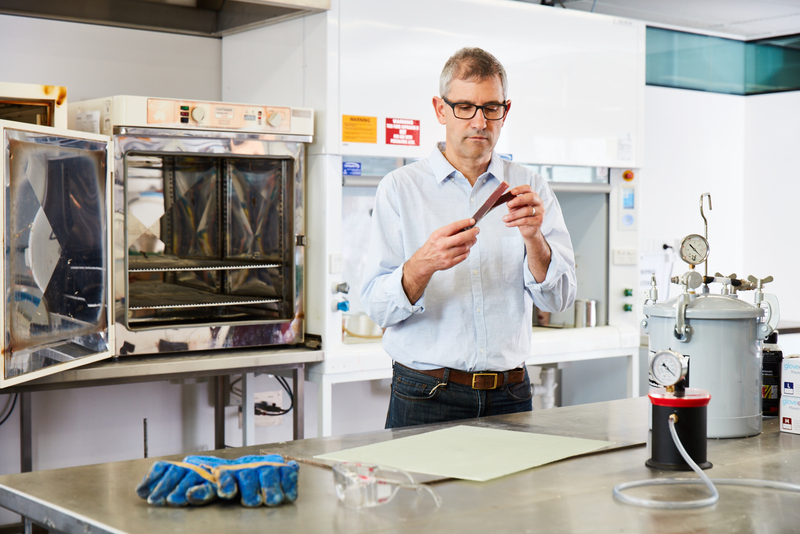 Penguin Composites has partnered with the Defence Materials Technology Centre (DMTC) to explore the potential of hybrid composite materials in advanced defence manufacturing. Minister for Defence Industry Christopher Pyne announced on Friday that the Tasmanian business had joined an existing DMTC project to enhance platform-independent technologies that can be applied across supply chains, including in the land, maritime, aerospace and space sectors. Penguin Composites will join existing DMTC project partners Thales Australia, Imagine Intelligent Materials and research partners from University of Queensland, Swinburne University of Technology, Deakin University and RMIT. “The partnership will explore the development of new compounds with unique characteristics that could, as one example, enhance the performance of military vehicles and reduce manufacturing costs,” Minister Pyne said. He said that DMTC has been delivering the collaboration and focus on innovation that was envisaged in the 2016 Defence Industry Policy Statement, in this case through exploring the potential of novel material compounds. Penguin Composites originally started as a watersport manufacturing business in 1976. The business now specialises in manufacturing composite components from various polyesters, isothalics, vinyl esters and epoxies combined with composite products of various fibres and core materials to a broad base of industrial, commercial and domestic markets. DMTC works collaboratively with many successful and innovative Australian industry, research and government agencies to advance technologies in priority areas, with a focus on delivering enhanced defence and national security capabilities, and strengthening Australian industrial capacity. Research into hybrid composite materials is focused on identifying compounds that are lighter in weight while offering comparable or enhanced levels of strength, functionality and durability. Increases in weight have a corresponding and adverse impact on transportability and on fuel economy, speed (mobility) and other areas of performance. Weight reduction for military vehicle components, however, is not as simple as it might seem. Every alternative component – and every potential option being considered including new materials – must be comprehensively tested against a complex set of scenarios including threat survivability, mobility, functionality and durability in a variety of terrains, and in extreme thermal environments. Another major factor is the cost-effectiveness of new materials as a result of the low volume of parts typically required for military production cycles. The relative immaturity of supply chains in working with new materials is a major factor – one of DMTC’s strengths is our determination to not just be satisfied with identifying these novel materials but seeing them through to develop and upskill domestic supply chains so that the advantages of these hybrid composite materials can be realised in future Defence projects. “The involvement of both researchers and industry partners will allow the team to test new configurations and identify the differences in performance compared to conventional materials,” Minister Pyne said.